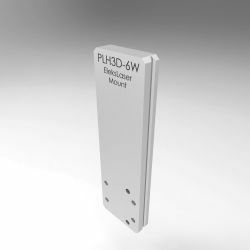 This docking station is designed to allow PLH3D-6W–Series laser heads to quickly connect or disconnect from machines. Aids easy removal of the laser head when it is not in use. 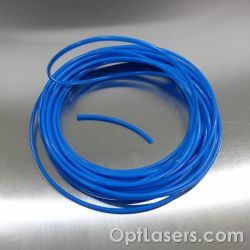 Protects the laser unit from oils, metal particles, and dust. 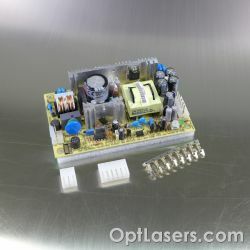 Includes an Aluminium cover that shields the mechanical surfaces and electronic contacts which interface with the laser head. 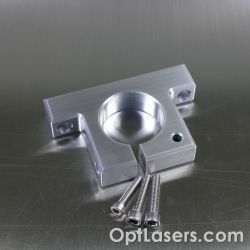 This product allows the laser head to be protected from contamination from dust or metal particles, as well as oils. 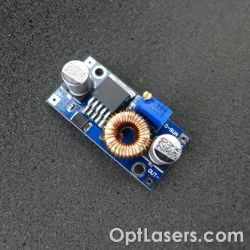 These can accumulate on the lens surface, fan motor, air channels, as well as the body of the unit, even if the laser head is turned off. The presence of such contaminants can require maintenance or shorten the lifetime of the module. 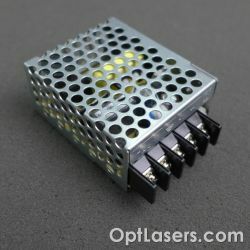 The docking station solves this problem and allows the laser head to be put aside while not in use. 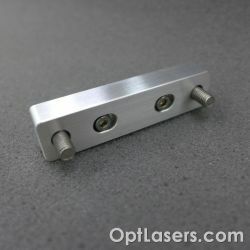 A machined Aluminium cover with magnetic inserts is additionally included to allow the docking station to be kept clean at the electronic contacts and mechanical surfaces that interface with the laser head. 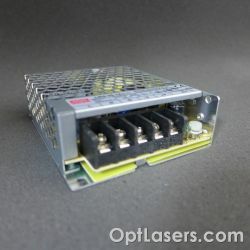 A small amount of compressed air or a brush may be used to remove any dust before connecting the laser head to the docking station. 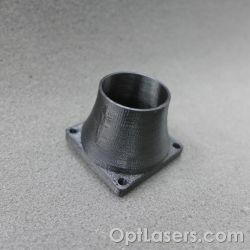 This unit ships with the necessary mounting screws (2x each of M3 x 10, M3 x 14, and M4 x 10) for connecting to the laser head. Assembly takes a few minutes.